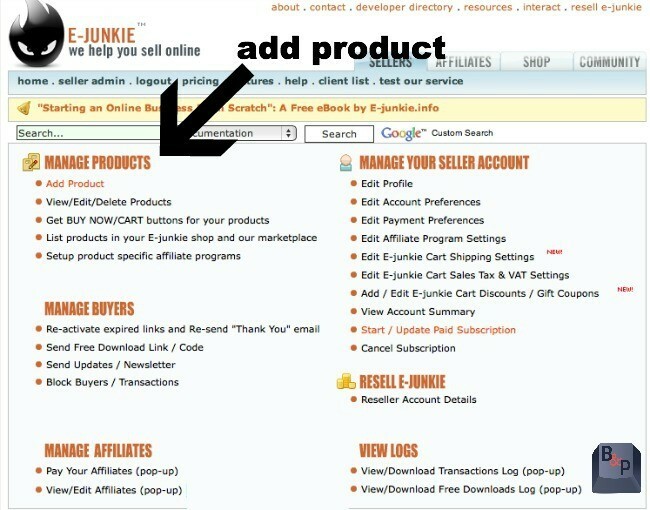 Today we are talking about how to set up affiliates on E-junkie. I hope that it is helpful! I love e-junkie, as I’ve told you in the past. It is cheap ($5 a month) and it holds all of my e-books. UPDATE: We have just moved to a new affiliate program for beckyandpaula.com, which you can sign up for here! We are SUPER excited about our new store and how easy this is going to make it for everyone to share it. 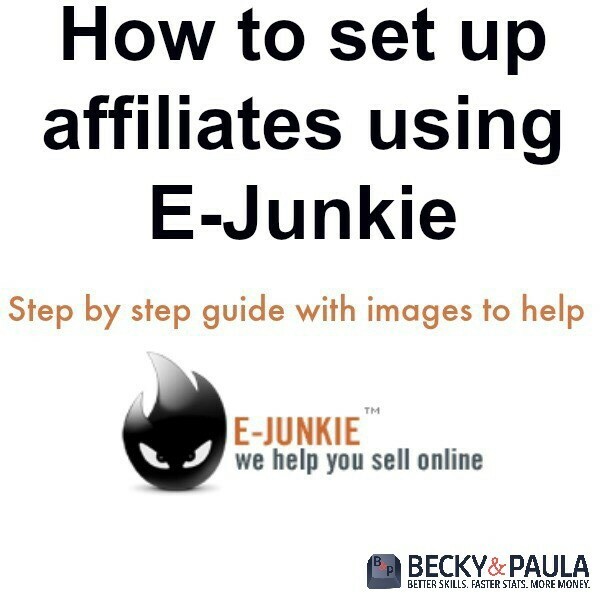 If you’re still interested in learning how e-junkie works, feel free to go through the tutorial below, but realize our e-junkie affiliate program will be going away shortly. Add your Thank You Message & any notes (my only issue with E-junkie is that sometimes the customers can not download your book, so I always include my e-mail here in case they need to e-mail me. You could also include any other books that you have here… promoting your other products). Step 4: This is where the fun happens! Upload your product! Step 6: Do you want to have affiliates? Here is how you do that. Step 7: Add Hop Link (if you want one). What is a hop link? If and when your affiliate adds a “buy now” button on their page, that button will take them to your page. 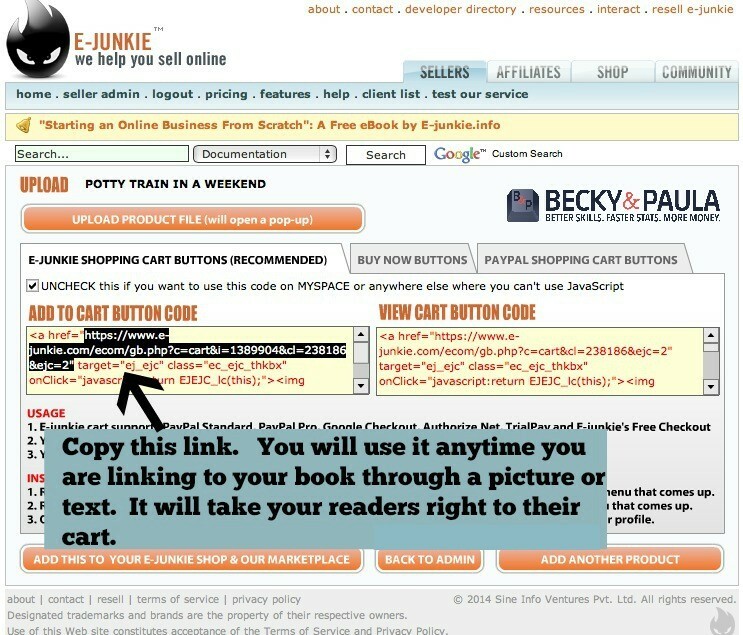 So, instead of taking them right to their ‘cart’s purchase the book, product, etc… it will take them to your sales page. This is where you really sell them on the book. Does it come with any extras? Are you offering a guarantee of sorts? Why do they want it? Sell them on it! The buyers will be using your affiliate’s link, so your affiliate still makes the commission. PS- YOU CAN SET UP DIFFERENT PERCENTAGES FOR EACH BOOK!! SO- YOU MIGHT WANT TO OFFER AFFILIATES 10% COMMISSION FOR ONE BOOK & 50% FOR THE OTHER. ITS UP TO YOU. 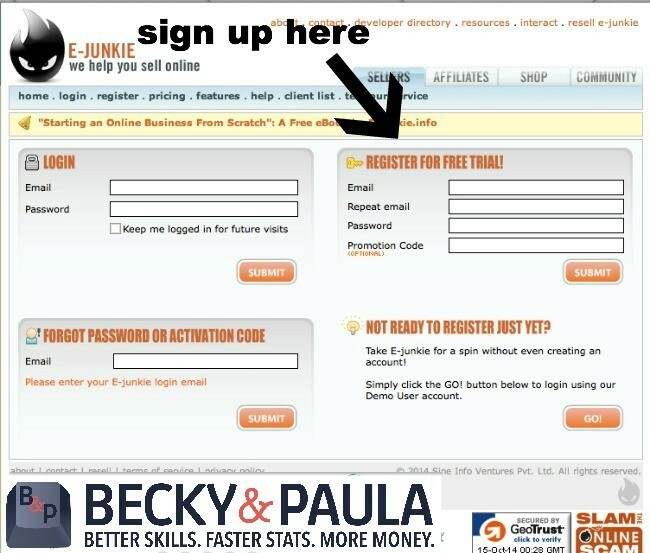 If you are on the OTHER side of things, here is how to become an affiliate on e-junkie. 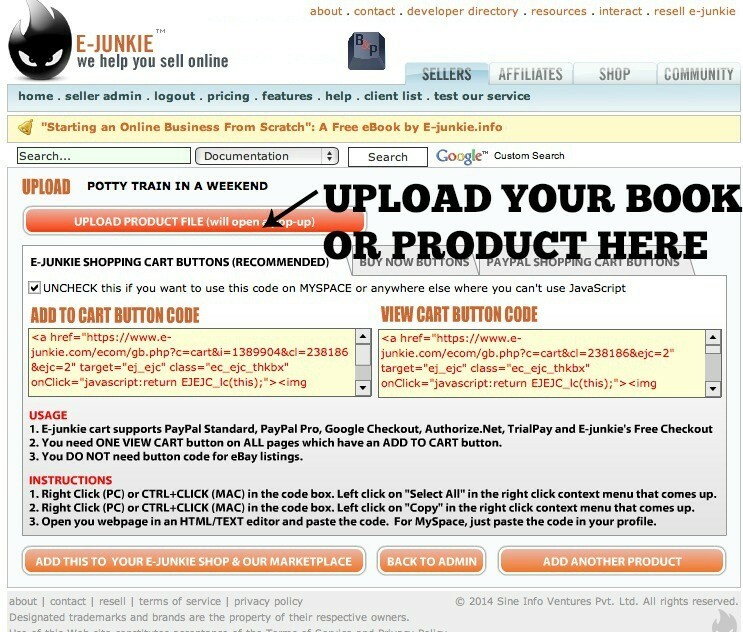 Now that you are all set up, you can become an affiliate of one of our popular blogging books through ejunkie! We offer 30-50% of the sale to the affiliate, so you can make some good money recommending our books to your blogging friends! Sign up here. This is super helpful and timely! Thank you SO MUCH!!! Now I have a little less to worry about in making an e-book. Thank you so much for this tutorial! I’ve been looking all over the web about how to do this! Ahhh, you’re the best! !